Bowsette (クッパ姫, lit. Princess Bowser) is a fan-made character, created under the assumption that Bowser puts on the Super Crown, an item found in Nintendo Switch's video game New Super Mario Bros. U Deluxe. It all started with a 4-panel comic, which seems to be inspired by the ending of Super Mario Odyssey, that depicts Bowser putting on a power-up item known as the Super Crown, being transformed into a woman as the result, and dating Mario. In other words, the source of this particular buzzword is a comic that interprets the aforementioned Super Crown as an item that can transform the wearer into someone who looks like Princess Peach. In the actual trailer of the game, a new playable character named Toadette is shown touching a Super Crown and getting transformed into a beautiful Peach look-alike. However, the one that's currently dominating the Internet is the fan-made character Bowsette instead. There's no escaping the hype! Including on pixiv! 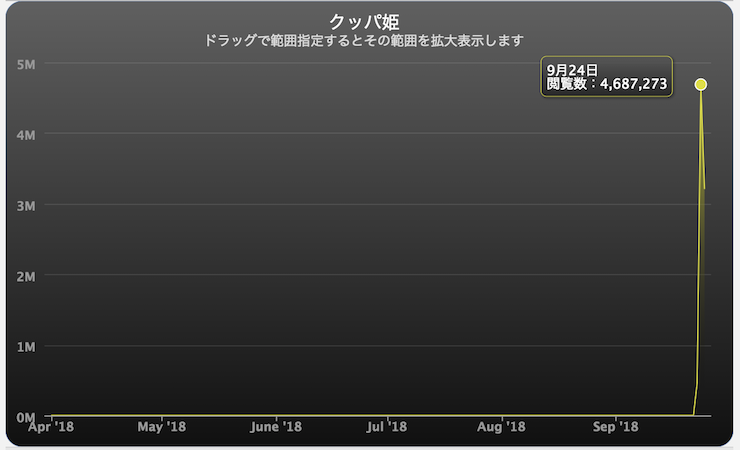 The number of total views of illustrations and comic that are tagged with "クッパ姫" (Bowsette) on pixiv reached an astounding figure of 4,680,000 on September 24. And now, as of September 25, the keyword "クッパ姫" ranked first on the list of popular keywords among male and female users. Numerous illustrations based on and related to this fandom have also made their ways to the Daily Ranking and Rookie Ranking. ▲ pixiv Encyclopedia (Top) and the list of popular keywords among male and female users (Bottom). *As of September 25, 2018. The whole "Super Crown transformation" thing has yet to die down! More characters to come! Following the Bowsette trend, pixiv has seen numerous works posted featuring characters who transformed into Peach look-alikes, for instance, Princess King Boo and Princess Piranha Plant. Check out these illustrations of Bowsette and other characters inspired by the trend!